Whether you are manufacturing your own product to sell, or you are with a Job Shop that needs to manufacture parts for others, you will need to be able to estimate the costs associated with manufacturing the parts. A key question to understand is how good you need to be at quoting and cost estimation. “Good” can be measured along a variety of dimensions. For an OEM, “Good” will be the ability to estimate accurately enough and quickly enough so that you can iterate on the estimating and design process until you have a product and a manufacturing process that produce a good enough profit margin for you. The failure of a “good enough” estimating process will be that your profit margin is less than it could be, and that it will be expensive to redesign your product or manufacturing process to recover that margin. For a Job Shop, “Good” will entail an ability to do the estimates quickly enough that you can bid a lot of jobs and good enough that you are competitive against other bidders and can still make a profit on the jobs. The failure of your estimating process would be that you don’t bid enough jobs, your bids are too high so you don’t win enough jobs, or perhaps worst of all, you get locked into an unprofitable job by bidding too low. 1. Automation: To achieve a consistent repeatable estimation process that you can tune up and rely on, and that produces estimates in a timely fashion, you need to be able to automate the process. Sitting down with a yellow pad and 10-key calculator won’t cut it. Of course Accuracy has a down side–the most accurate way to estimate the cost is to make the part and see how much it cost you. By then it may be too late and in any case, that is certainly the most expensive way to produce a part. It’s important to be Accurate enough, and to do so cost effectively, without being “too Accurate” and therefore too expensive. There are multiple types of Cost Estimate, and each merits different levels of investment and accuracy. The idea here is for customer and manufacturer to get an idea whether they’re in the same ballpark so they know whether it is worth investing time to do a higher quality estimate. In many cases, there may not be a CAD model available at this stage. It’s just a rough description of the part and a back of the envelope comparison against the cost of parts already manufactured that are somewhat similar. The Preliminary Design Estimate represents the period of back and forth while designs and estimates are pinging back and forth until a balance is reached. The manufacturer may tell the customer that certain aspects of the design are making it unduly expensive to manufacture. Perhaps tolerances are too tight or there is some other issue with the design. The Quote is when things get very serious because it is a written agreement to manufacture a price for a particular prices. Quotes are the usual endpoint for Cost Estimation. One of the factors affecting the Accuracy of your Estimates is your ability to account for all of the costs and allocate them to the job appropriately. This isn’t always easy. For example, there will always be some overhead costs, for example the cost of way oil and coolant for a CNC machining center. From a bookkeeping standpoint, you’d love to precisely allocate those costs by job, but from a practicality standpoint, it might not be worth your trouble. Let’s start looking at Costs by putting together some general buckets or categories that we can group costs into. These are the costs that like the way oil, coolant, rent on the shop space, or even the shop electrical bill, are probably not worth trying to split up properly among jobs. Instead, we might commonly accumulate them all together into a single “Overhead” category, and then try to create an hourly cost of some kind divided into the various machines or work centers that can then be allocated to jobs based on how many hours were used. Material Costs are easier to allocate to jobs. There’s still a little bit of complexity, for example, if a shop recycles chips, do we credit the return from recycling from recycling to particular jobs that produced the chips, or do we simply use it to reduce the overhead? Essentially, the wages of the employees actually engaged in manufacturing a particular part. Any overhead associated with the Labor Costs, such as benefits. The cost to run the machines used to manufacture the product. If the machine is leased or bought on a loan, this adds costs. Depreciation and other costs are involved. 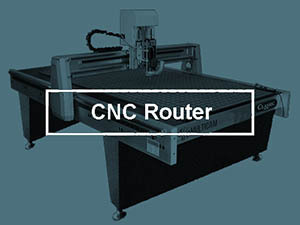 Use a CNC Machine Hourly Rate Calculator to figure out what hourly rates to charge for your machines. 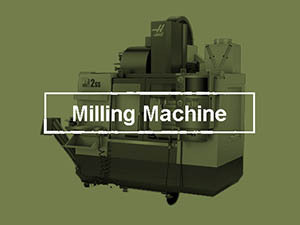 Setup costs include machine idle time as well as the time the operator spends loading/unloading parts, changing tooling, changing fixturing, and so on. Many jobs will require parts be inspected. Some inspections may be charged against Setup or Machine costs as parts are inspected in-process. Others come at other stages, such as at the end. This is the cost of design and engineering work, for example to design a fixture that will make the overall cost of manufacturing cheaper, but which is a cost in and of itself. Endmills, inserts, sand paper, abrasive discs for deburring–there are all sorts of consumables to account for in a manufacturing process. Most shops won’t do everything themselves in a manufacturing process. They may buy sub-components, such as fasteners, from an Outside Source. They may use a subcontractor for all sorts of things, ranging from making some components of an assembly to doing heat treating, to coatings, or at the very least, to provide a freight service to deliver the finished goods to the customer. A good Cost Estimation process will capture all of this in a way that makes it easy to understand, easy to account for, and easy to dig into and improve as need be. – Add a bigger margin to the cost. If the market isn’t too competitive, this is the easiest way to make a job more profitable. It it is highly competitive, this is also the easiest way to lose the job altogether. 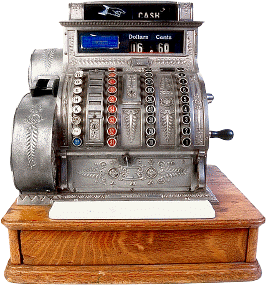 Ultimately, your shop will need to know what the “walk away” number is for profitability. In tough times, it may be satisfactory just to cover your worker’s salaries and the overhead. In good times, the profit margin is such that you won’t be worried that a higher profit job is right around the corner but you can’t take advantage of it because you’re booked up with low margin work. – Sell more units. If you’ve baked in a decent profit margin, selling more units will generate more profit. Volume can allow you to purchase materials and other outside services more cheaply, and it will help you to justify costs for things like better fixtures or tooling to reduce the cost to manufacture. That all goes to more profits. Of course the customer may try to get you to give them each unit at a lower cost as they try to cash in on volume too. 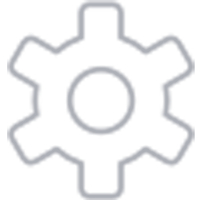 – Reduce manufacturing costs. This is the one where everyone wins. The best time to do it is as early in the process as possible. You will certainly learn things during a high volume production run that will allow you to make the parts more cheaply, but the most profitable changes happen before you’ve made the first part. In particular, Design For Manufacturing changes are invariably extremely profitable. If you haven’t guessed, there is a vicious cycle here called “Competition.” As one shop lowers its profit margins, others must lower either their margins or their costs to be able to bid competitively. 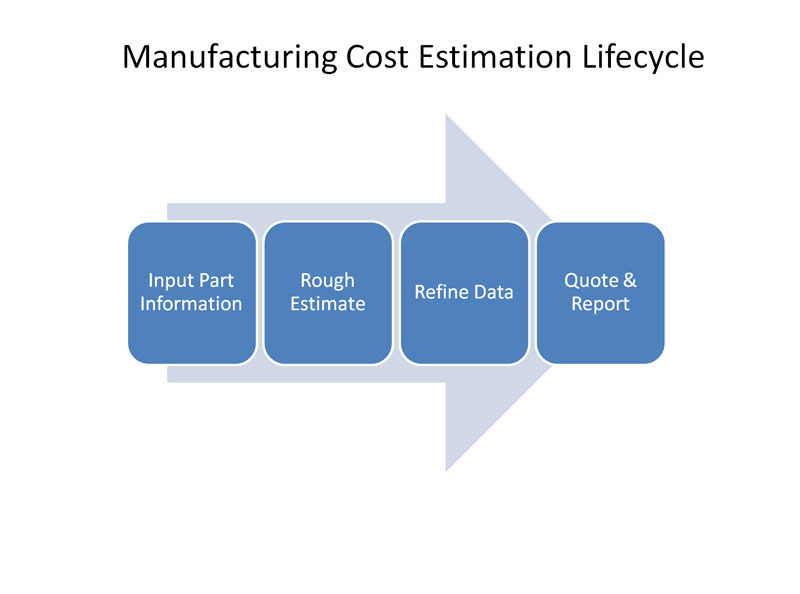 Reducing your Manufacturing costs is the only way to gain permanent competitive advantage in that cycle, but don’t forget that Cost Estimation is a Manufacturing cost too. It takes labor to do a Cost Estimate. The accuracy of the Estimate tells you how much you have to pad the bid to be sure you’ll make your desired profit. If you can bid more accurately and more quickly than your competition, you stand to win more jobs and be more profitable than they are. By now, you’re probably able to see the benefit of having consistent Cost Estimates. With consistency, you can tell how much to pad them for safety and how much you can mark them up and still be competitive. Without consistency, you need a much bigger margin for error to cover the unknowns and you will be competitive that much less often. In the worst case, you may wind up losing money on a job. It’s usually better to lose the bid on those kinds of jobs. Achieving Consistency requires the use of Automation. Just having someone sit down with yellow pad and 10-key calculator or even a spreadsheet leaves too many variables in how the estimate is done each time. This gets worse as more people start doing estimates. To achieve Accuracy, Consistency, and Efficiency of Cost Estimation requires Automation using some form of Manufacturing Cost Estimation Software. Such software involves a wealth of features, and can cost many thousands of dollars. 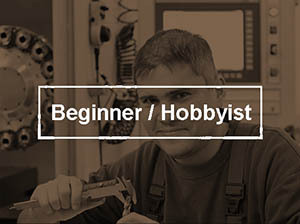 Some of it requires considerable time to properly set up before it can produce accurate estimates for your shop, not to mention considerable training to use. If your shop’s work volume is high enough, and the software efficiently produces accurate, consistent cost estimates and quotes, it should pay for itself very quickly and will become an indispensible part of your business processes. 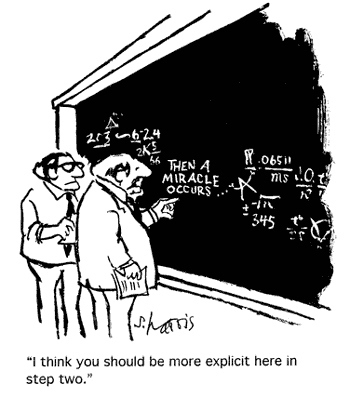 However, all Cost Estimation Software is not created equally (I suspect you’re not surprised to read that). – Operations or Features. The Cost Estimation Algorithm will need some understanding of what machining operations or features are involved in making the part. 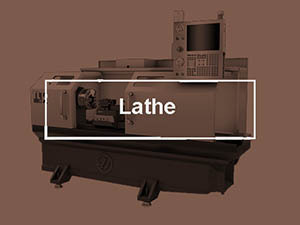 – Machine: The capabilities of the machining center used to make the part are an important input. – Material: Obviously the material being machined has a big impact. – Part Dimensions. The overall size of a part can play a role in the Estimate. – Key Parameters. For example, the depth of a pocket or hole matters a lot to the cost of producing the feature, particularly if those depths are deep compared to the diameter of the cutter being used. – Feeds and Speeds. Getting together appropriate Feeds and Speeds given some idea of the Operation, Machine, Material, and Tooling will be important. Some of this information can be gathered once in a database when you set up the Estimation Software. Your shop probably doesn’t change Machines very often, for example. Some of the information can be calculated, for example the Feeds and Speeds. It’s important that any calculated information match what will happen when you actually manufacture the part or else your Estimate will be less accurate. 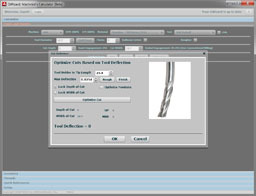 For example, CNCCookbook’s CADCAM Estimator uses the same Feeds and Speeds Engine in G-Wizard Calculator that thousands of machinists use for their everyday machining. Unfortunately, there is typically still a lot of part-specific work to be done. There are a few ways around this. Some of that work can be simplified by choosing a different Cost Estimation Algorithm. Some of it can be automated, for example, by using Feature Recognition on a CAD Model to provide the initial list of Features and their Key Parameters. Given a Rough Estimate, we will then start to Refine that data, often through iteration. The more detailed the Estimate, and the more it matches the Machining Processes that will be used to manufacture the part, the more easily and confidently look to sharpen our pencils and get to a better estimate. Given the importance of being able to gain insights from the Estimate and not just a number at the end, let’s consider some of the Estimating Algorithms that are in use. As mentioned above, the more closely the Estimation Algorithm matches the Machining Processes used to manufacture the part, the more easily and confidently we can use the Estimate to gain insights. Fuzzy black box algorithms that do not model the actual Machining Processes may be useful for quick estimates, but ultimately, we don’t want to have to rely on a miracle in the black box to give us the answers. We want to be able to understand how we got there. The two main Cost Estimation Algorithms available in software today are Feature-Based Cost Estimation and Parametric Cost Estimation. The Estimation Algorithm that most closely follows the Machining Processes used to manufacture the part will be Feature-Based Cost Estimators. In this type of software, you’ll be working with a list of Operations that is strikingly similar to a textual list of Operations a CAM program might have to convert to g-code. In fact, if the list is good enough, it is a useful thing to have on hand while you’re doing your CAM work. The ultimate Feature-Based Cost Estimation would be to actually do the CAM work for the part, generate the g-code, run it through a simulator, and base Estimates of that information. Unfortunately, that is a lot of work for an Estimate. In nearly every case, it will be too much work. We need to gain insights well before that stage. 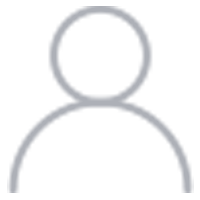 An experienced machinist can look at a print for a part, or even a simple sketch, and pretty quickly decide on a set of machining operations that will produce the part. Alternatively, Feature Recognition Software can analyze a CAD model and output a set of Features. 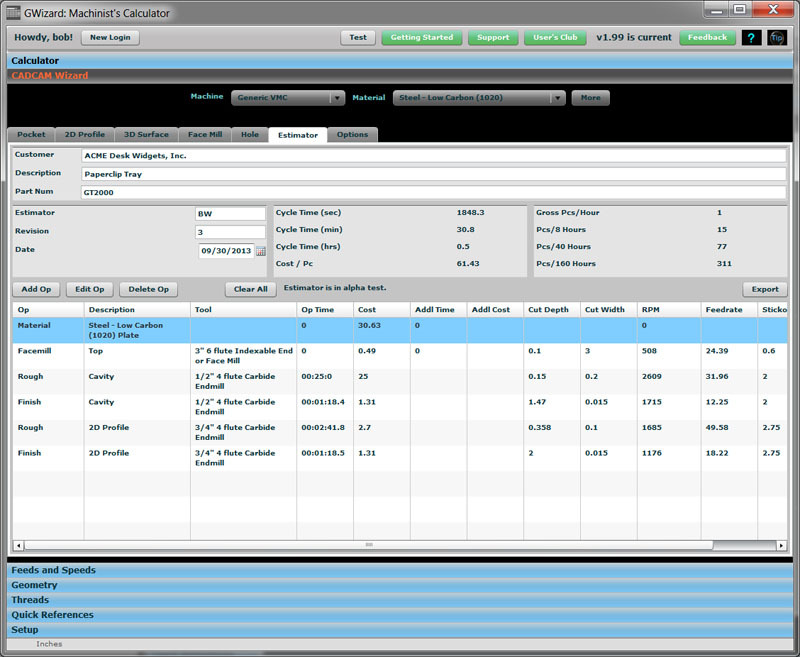 Once the set of Features needed to manufacture a particular part is known, the details are filled in until a robust Feature-Based Cost Estimate is done. Suppose the part you’re estimating is similar to a lot of other parts you’ve estimated in the past. Perhaps you are a gear manufacturer and you have a wealth of detailed knowledge about the cost to manufacture gears on hand. The idea behind Parametric Cost Estimation is to create a model that allows you to tell it the overall specifications or parameters for one of these parts and it will use the accumulated data to produce an estimate. Parametric Cost Estimation can work well, provided the type of part you’re estimating is standard enough and you have the data on hand for what it will cost to build one. There are Cost Estimation vendors that have such databases as well, but the difficulty is in knowing how consistent their database is and whether it matches your shop’s costs closely enough to be useful. Unfortunately, the only way to tell is to buy their Cost Estimation Software and use it for a while, which is an expensive way to find out. We need to talk about Back-of-Envelope Cost Estimation. Hopefully no Software that’s actually charging a fee for its use is based on this algorithm, because anyone that depends on it knows that it is inaccurate and inconsistent. In this approach, a machinist eyeballs the print, recalls how many hours went into another part he judges to be of equivalent complexity, and then he writes down a total SWAG estimate of what it will cost to make the new part. I’m not saying this approach can’t be close, but it really puts the burden on the machinist to be right, consistent, and to consider all of the many variables involved without any help. Everyone starts out doing Cost Estimation on a spreadsheet, and many, perhaps even most, never get beyond a spreadsheet. There’s a lot to recommend spreadsheets–they’re fast, easy, and very flexible. For any type of “one off” work, it’s hard to argue they aren’t the most effective tool available. But, the more times some duplicate set of operations is performed, the more care we need to take in deciding that a spreadsheet is the best answer. The key to using spreadsheets is to confine their use to what they’re good for and augment them with other tools that minimize spreadsheet weaknesses. 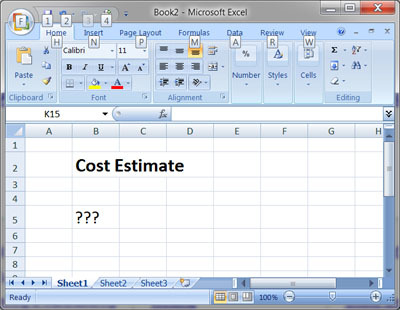 Let’s consider Feature-Based Cost Estimation in a spreadsheet. There is no doubt it can be done–you can build a schedule in the spreadsheet that lists out the operations that need to be performed to manufacture the part. But, it’s an awful lot of work to do it right. In all likelihood, you’ll at least need some minimal help for the spreadsheet, perhaps in terms of a Feeds and Speeds Calculator like our G-Wizard product. Such a tool can at least give you consistent feeds and speeds as well as performing simple machining time estimates. There will be considerable inefficiency and potential error due to the need to rekey information. Just tell it the depth of the material to be removed and the X and Y extents and it will work up the rest of the estimate for the operation including Feeds and Speeds calculation and time required to complete the operation. It even has a feature called “DFM” (Design for Manufacturing) that makes suggestions for changes that would make the part cheaper to manufacture. By selecting different features in the CADCAM Wizards, letting the Wizard do the estimate for the feature, and then adding the feature to the overall estimate, a spreadsheet is built up row by row and with minimal effort. 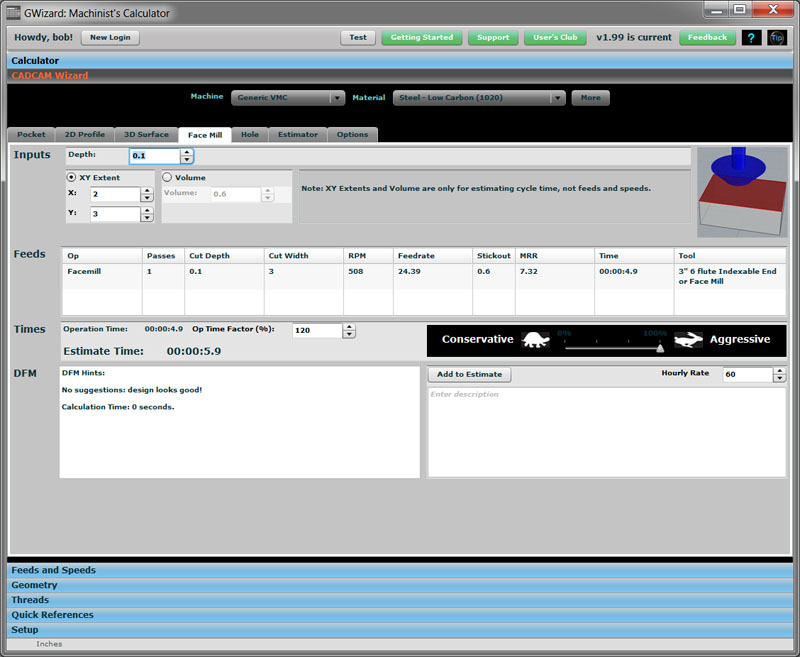 When you’ve finished building the estimate, press the “Export” button to export a spreadsheet containing the estimate. At that point, you have a set of very high quality data on which to base your estimate. What’s left is largely packaging. If you have existing Cost Estimation Software rather than spreadsheets, you could also import this data into your software to feed estimates. For more information, be sure to check out our 2018 Cost Estimation Survey Results.